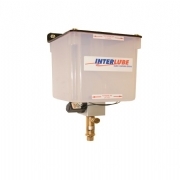 NEW HEIGHTS FOR AUTOMATIC LUBRICATION. TIMKEN ILS Limited has developed a New and Unique method of feeding grease to lubrication points at the front end of a Telehandler, known within the Industry as the “Stock Head”. The “Stock Head” is at the end of an extendable boom and all the grease points in this part of the machine have previously been manually lubricated due to the extension and retraction movement of the boom itself. 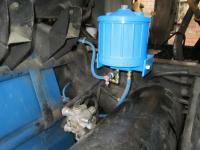 Lubrication points that are to be manually lubricated at the end of a shift are often forgotten. 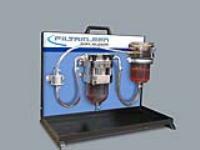 In the case of rented machines the likelihood of these points ever being lubricated is extremely low. As proven and reported by many leading bearing manufacturers the majority of pin/bush & bearing failures is due to lack of adequate lubrication which as a result causes machine down time , costly repairs and loss in productivity. Now with the New Timken`s (SGR) “Self retracting Grease Reel” all the lubrication points including the “Stock Head” can be automatically lubricated from one grease pump as the machine is operating. Together with the proven HDI grease pump, SPL progressive divider valves and SGR attachment all points are lubricated with precise amounts of grease at pre determined intervals. Timken ILS has developed a truly unique combination that will as a consequence help to save money for Telehandler owners and Rental companies. The working life will be improved and brings added value to the price of machines fitted with this system. This is a WIN - WIN situation. 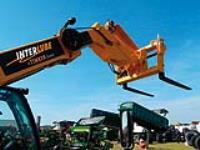 Please send me more information on Automatic Lubrication for Telehandlers.